NOORD — The Aruban Burrowing owl is the national bird of Aruba and is a protected species but due to several circumstances these species are in danger of extinction. Tierra Del Sol recently offered some space on their golf course to build some artificial nests for these wonderful creatures for a safer environment. On November 17, 2018, in support of the protection of the Aruban Owl, ten nesting sites have been placed at Tierra del Sol and another eight are to follow. A nesting site consists of a pair of burrows. Shocos are running out of areas where they can nest. They often end up using piles of construction sand on development areas which collapse due to human activities, killing the offspring. 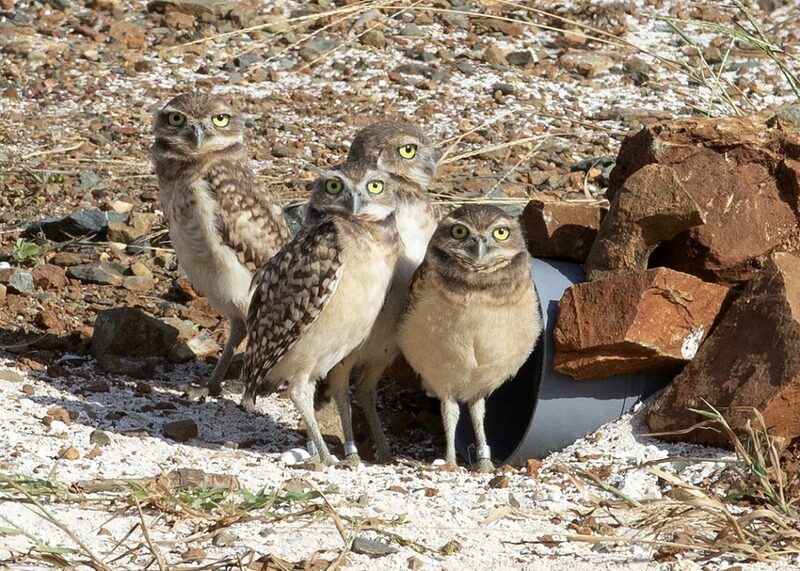 Aruba’s burrowing owl is a critically endangered endemic subspecies and was declared a national symbol of Aruba in 2012. Aruba Birdlife Conservation started a partnership with Parke Nacional Aruba and the Global Owl Project in 2017 to prevent the Shoco and Prikichi from going extinct.